Trucking is competitive and, when you’re piloting a 30,000kg vehicle through cities, villages and rural roads, saving fuel can make the difference between a route being profitable and not. If you’re a driver and you can drive economically you are an asset to your company. You’ll also be doing your bit for the environment by limiting your fuel use. 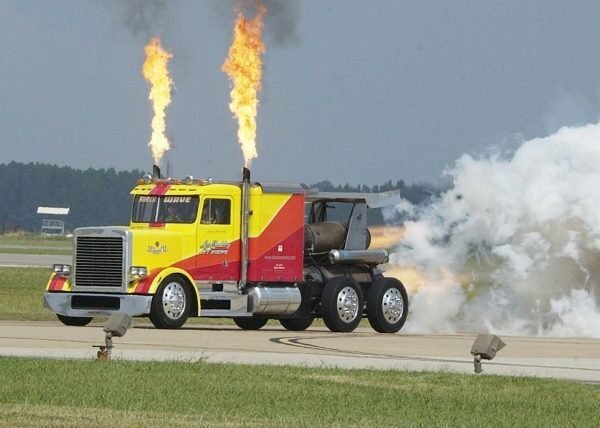 Every time you stop and start the truck, you’re burning precious fuel getting that heavy load moving. It’s better to keep consistent lower speed (even as slow as walking pace) than bursts of acceleration and braking, especially if it’s braking to a stop. Look well ahead – at least 10-12 seconds – and you’ll see what’s happening. In the cab, you’ll have a good view up the road (unless you’re right behind another large truck). Look for traffic lights in the distance. If they’re green now, they’ll probably be red by the time you get there, and vice versa, so adjust your speed if possible so that you arrive at the lights while they are green and can maintain your momentum. Slow down for roundabouts and try to judge your arrival so that there’s a convenient gap in the traffic. If you have to stop, you’ll need to wait for a larger gap and it burns a lot of fuel while you accelerate up to speed. Get your speed right before you start to turn, select the right gear and maintain a smooth line. The best rule of thumb is slow in, fast out. This reduces your chances of having a rollover accident, too. Stop-start traffic can be difficult to predict. 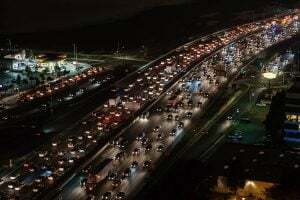 Sometimes traffic will stop for seemingly no reason – a jamiton or phantom traffic jam. Sometimes it’ll be an accident or rubbernecking. In rush hour driving on motorways, keep a bigger gap to the vehicle in front so that you can smooth out the fluctuations in the traffic. Yes, you will have car drivers dive in front of you, but the savings in fuel will more than make up for the extra couple of minutes it will take you to get through it. In the city, you’ll encounter traffic lights. You’ll need to strike a balance between holding drivers up behind you and adjusting your speed to arrive at the intersection at the right time. Cold engines burn more fuel. Try to keep the revs lower, keeping them in the economical power band. As the most fuel is used at low manoeuvring speed and when the engine is cold, position your truck for an easy exit in the morning – line it up so that you can simply drive straight out of the yard or wherever you have parked. In a big truck, with the engine warm, you’re going to be chewing through at least 2 litres of diesel an hour, and when it’s cold, a lot more. If you have the air conditioning on, this will use a lot of diesel, too. If you will be stopped for any more than 30 seconds, turn the truck off; anyone nearby will appreciate the cleaner air, too. If your truck has an indicator on the dashboard to show you the most economical rev range, keep it in there unless you need extra power for overtaking or getting up hills. You don’t have to shift through every gear. If the engine is not being stressed, especially when you’re picking up speed downhill, shift up two gears at a time as it reduces wear on your gearbox. Changing gear is wasteful because you push the clutch in, so the engine isn’t driving the wheels, but it’s still burning fuel, plus you lose a bit of momentum and therefore have to gain that speed again. Your truck is your livelihood so keeping it serviced and operating as efficiently as possible will reduce the chances of it breaking down which will cost you money in downtime. Well-serviced trucks are more fuel-efficient. If you see black smoke then you are releasing unburned fuel into the atmosphere. Many of you will have a 90km/h limiter in your trucks which will stop you breaking the open road speed limit, but if not, the faster you go over 90km/h the more fuel you use per litre. Sticking to 90 is safer, better for fuel consumption and means you won’t get a speeding ticket. Around 20% of your fuel consumption is overcoming aerodynamic losses, and around 13% is overcoming rolling resistance (the effort it takes to turn the tyres). Opening the windows is better for fuel economy than air conditioning, especially at slow speeds where aerodynamics aren’t so important. The Society of Audio Engineers found that air conditioning uses more fuel than opening the windows. Ensure that the gap between the tractor cab and the trailer is as small as possible if you have a sliding fifth-wheel coupling. 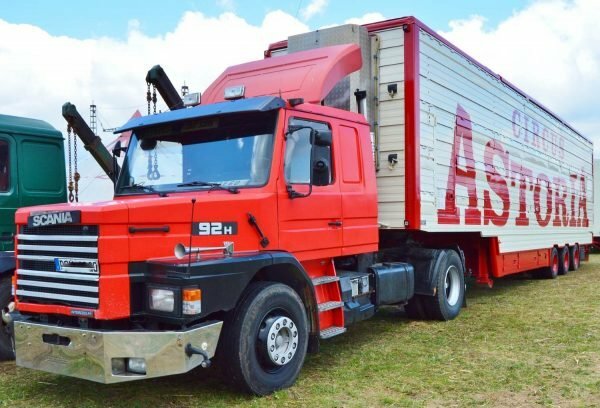 Use a cab deflector, cab side edge turning vanes, an air dam, trailer front fairings and other aerodynamic aids such as side skirts on the trailer to improve your fuel efficiency. You’ll get 80% of the fuel economy benefit just with a roof-mounted air deflector, side panels at the rear of the cab and an under-bumper air dam. Repair any split fairings as they will be inefficient. Keep your load height as low as possible so that the roof-mounted air deflector can have the best effect. Make sure you correctly sheet empty tipper bodies as this can save up to 8% in fuel consumption and ensure curtainsiders are kept taught with rips in curtains repaired promptly. If you’re loading onto a flat-deck truck arrange your loads so that they are as aerodynamic as possible, but without creating problems with axle loading. When you purchase a new truck or trailer ensure that you ask the right questions of the vendor to make sure you’re getting the right fuel efficient options. Look at the lifetime running costs of the truck rather than the initial costs. Dealers and manufacturers should be able to advise on gearing based on running a simulation of your typical driving routes. 6×2 axles are where the tractor unit has two sets of four wheels under the turntable/fifth-wheel coupling, but only one axle is a drive axle; the other axle is a dead axle. This improves fuel economy because the engine only has to drive one axle. It’s not suitable for all applications (e.g. you wouldn’t use it where you will be on slippery tracks hauling logs), but for linehaul trucking of lighter loads, it’s fine. Keep the tyres at the optimum pressure to reduce the rolling resistance and extend their life. If your tyres are under-inflated it takes the engine more effort to turn them. A 10% fall in tyre pressure increases your fuel consumption by 1%. 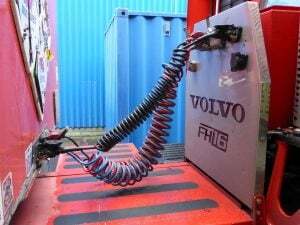 Low rolling resistance tyres can improve fuel economy by up to 6% on line haul runs according to some sources, although other sources estimate that the benefits wear out as the tyres wear out and the average could be as low as 1.5% over the life of the tyre – still worthwhile doing, though. Lift wheels that you don’t need to use. 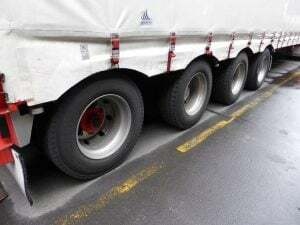 If your trailer wheels are misaligned with the truck wheels you’ll be constantly fighting it wanting to turn and this creates resistance on the road plus excess tyre wear as the tyres scrub on the tarmac. 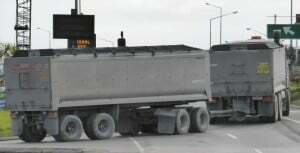 Misaligned trailers track slightly sideways which increases air resistance. Bumpy roads will cause your right foot to move slightly on the accelerator which can use micro amounts of extra fuel; we also move the accelerator in small amounts without even knowing. Cruise control works very well on flatter terrain to stop you doing this and to only use the acceleration needed to maintain the speed. Allow your speed to build using gravity downhill and use your exhaust brake to regulate your speed rather than the brake. When you are on long flat stretches, build your momentum gradually and let it carry you up uphill stretches as much as possible. Ease off the accelerator as you approach the crest of the hill and the gradient levels out. Don’t overfill your tank: only fill to just under the neck of the tank. This allows for some fuel expansion if the sun heats up the tanks, and it means that you are less likely to spill during filling. Diesel fuel spilled on the road is very slippery for other motorists. Check that the tank seals correctly otherwise you’ll be losing fuel through evaporation and as it sloshes around. You can easily lose a litre a day in hot weather. Watch out for fuel thieves. Get a fuel card or secure a deal with a fuel supplier. Try to schedule trips so that you will arrive in towns and cities when it’s not rush hour so that you get a clearer run through. Keep a record of your departure times on certain runs and how long it took you. You might find that leaving 20 minutes later regularly saves 10 minutes off your journey time, and less time on the road usually means less fuel burned. Schedule journeys so that you can complete multiple pickups and dropoffs in the one run, minimising your time running empty. Use route planning software that calculates the most efficient route between pickups and dropoffs. Use navigation systems that can predict traffic flow and reroute you if there are problems ahead. Your truck’s performance in really cold weather will be worse than moderate weather as you’ll end up using auxiliary equipment such as fog lights, demisters and the heater. Foggy weather will cause slower progress, worsening your fuel economy. When there’s standing water on the roads it creates more resistance against the tyres (you can feel this when you drive through a deeper puddle). Try to avoid driving directly through the long puddles that form in depressions in the road. 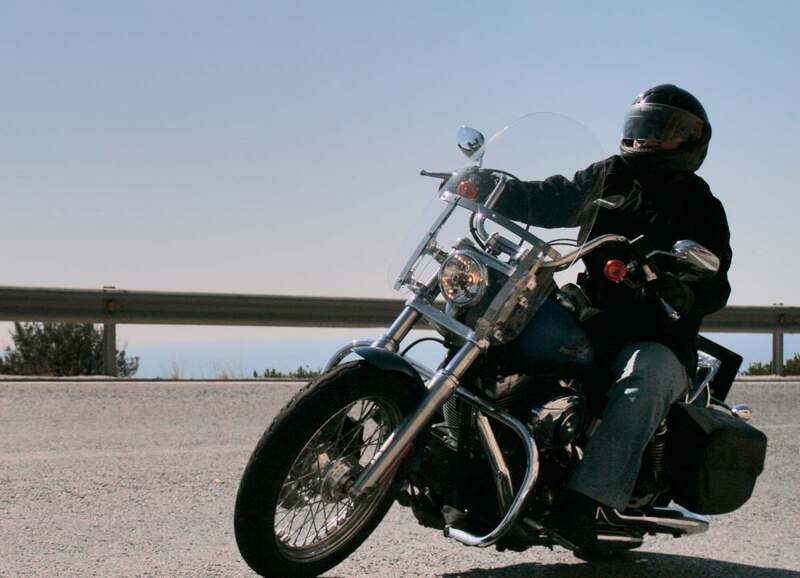 High winds will also increase your fuel consumption. Are you carrying around items that you don’t need to carry? A rough rule of thumb is that every 5000kg of load worsens your fuel economy by 5%. Make sure you are tracking your average litres per 100km and see if there are factors that affect it. If you have a lot of historical data then you can easily see if something starts to go wrong which might indicate a misalignment or engine problem, and this will save you pain in the long run.